In 2011, Bishop Kieran O’Reilly invited the people of Killaloe Diocese to engage in a process of Listening, Conversing and Reflecting. We began by listening. A number of gatherings took place across the Clusters (pastoral areas) with both clergy and lay representatives. As part of the process a Pastoral Planning Team was established to meet with the Parish Pastoral Councils (PPC) of each cluster. Each PPC took this opportunity to share their concerns and to plan for the future. These gatherings formed the basis for our new Pastoral Plan, ‘Builders of Hope’. This Listening Process and subsequent Pastoral Plan put forward a sustainable vision for Pastoral Development in our Diocese where the gifts of each baptised person are recognised and encouraged. 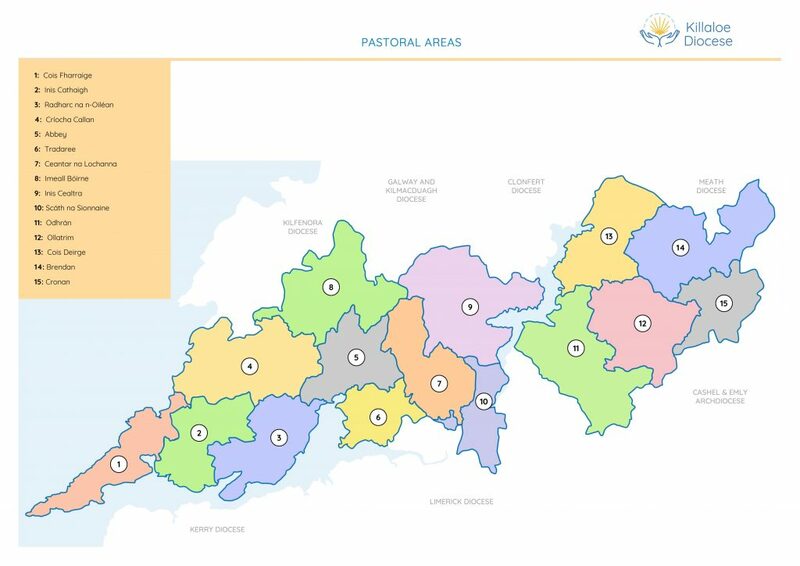 To assist the Diocese in this process, one full-time and two part time pastoral workers have been appointed to work on key areas of the pastoral plan. Priests and people are planning for a reality where lay people will share responsibility and move towards taking on key duties within the parish. We also hope to nurture personal and spiritual growth within the people in our diocese. Our Pastoral Plan emerged at a time of great change for the Church and asks us to make significant shifts in our thinking and practice. In the words of Cardinal Newman, ‘here below to live is to change, and to be perfect is to change often’. Some of the changes we experience are social and cultural. Increasingly we live in a more secular and pluralist society in which the Church is attempting to find its role and voice in new ways, appropriate to the time in which we live. This has implications for how we see ourselves as Christians within society and for how we live our faith. Other changes have to do with the Church itself. Up to now we have depended on our priests as leaders of our Christian communities. The reduced number of priests on the ground in parishes is now prompting us to ask crucial questions about how our local Christian Communities will be sustained as we face a very different future? At present there are 137 Christian Communities in our diocese where people gather each weekend for prayer and worship. 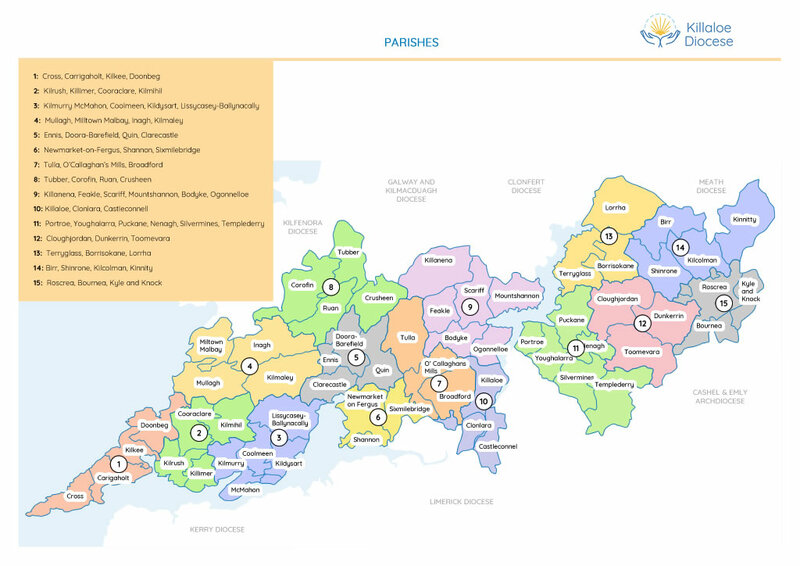 At the heart of our pastoral plan is the vision of sustaining these Christian communities, empowering and resourcing them to meet the challenges they face. This is no easy task. It demands serious reflection and conversation on what these Christian communities will look like in the future? What does it mean to be a Christian in today’s culture and how can Christian communities form and nourish adult faith? How will we celebrate and pass on our faith in this new situation? How can our Christian communities be maintained with more limited resources especially in terms of priests? Who will provide leadership? The ever more urgent call is for every Church member to exercise a much more active role in the life of the local Christian Community and to assume greater responsibility for its life and well-being. We need to prepare realistically for a changing situation and to ensure as far as possible that each local community is resourced to proclaim the Gospel, to assemble its members and to pray as a community. The vision articulated in Builders of Hope asks us to prepare for a changing situation. A cursory glance around the parishes of our diocese will already tell us that there are declining numbers of clergy as this has already become a reality. The scene is changing and as elderly clergy are not being replaced the situation will become very different, very quickly. That is why this call has a sense of urgent immediacy and speaks of truly living out our shared common priesthood, given to us through our baptismal calling. The future shape of the Church will be very different from what we have become accustomed to. While we cannot say for certain what the shape will be, some things are clear. All of us are called to share our gifts if there is to be a Church in the future. Roles previously reserved to the priests will need to be taken up by lay people. Some will lead liturgical celebrations in the absence of a priest, others will work with families in preparing children for the reception of the sacraments. Lay ministers will visit the sick, bring communion to the housebound, receive funerals at the church and officiate at the graveside. Pastoral councils will be even more actively engaged in coordinating these various ministries in their areas and finance councils will assume greater responsibility for ensuring the provision of the material resources required for the Church’s ministry. Educational and training programmes will be put in place for those involved in developing and supporting the faith life of these communities. The priests of the diocese, with openness and commitment to these new challenges, will continue to act as guides and mentors to these communities. On any given weekend, masses will be scheduled for the parish clusters but not in all of the existing churches. You can get involved in this exciting change process or simply stay in touch with the progress of the Pastoral Plan by talking to your local priest or any pastoral council member or by visiting www.killaloediocese.ie. Our pastoral workers have since 2014 focused primarily on the Leadership, Partnership, Liturgy and Spirituality strands. The Leadership and Partnership strands identify the acute need to train lay people in the context of profound and rapid pastoral change within our Diocese. Collaboration and co-responsibility are at the core of our new model of Church. It is essential to equip people and parishes for this reality. Our part time pastoral workers Lorina Bourke and Marie O’Connell Quinn have been employed by the Diocese to work on implementing the Leadership and Partnership strands. Marie and Lorina’s work focuses mainly on the members of our Parish Pastoral Councils and Cluster Groups. As we look to the future, these groups will be the cornerstone of our faith community. More and more we will rely on our pastoral councils as the local leadership group within our parishes. To fulfil this role they will need to be equipped with the knowledge, skills and theology to renew parishes and to make them sustainable into the future. Builders of Hope, the Pastoral Plan, reminds us that ‘significant changes lie ahead’ for priests and people. These changes mean that we need to ‘…continue making significant shifts in thinking and practice’. Vatican 2 calls ‘… for every member of the Church to exercise a much more active role in the life of the local Christian community and to assume greater responsibility for its life and well being’. The Leadership and Partnership Strands aim to support a more collaborative way of being Church. This approach is being actively supported through training and education programmes and building the capacity of parish pastoral councils and cluster groups. This involves priests and lay people learning to work together in partnership. If our Christian communities are to survive and thrive all of us have to assume much more active roles in developing and sustaining them. In particular strong lay leadership and leadership groups will be needed if local Christian communities are to thrive. These groups will be vital in discerning the best way forward and implementing change in parishes on the ground. Maureen Kelly, who has worked in the Inis Cathaigh (West Clare) Cluster since 2009, has a coordinating role for the Liturgy and Spirituality strands. Coming through the feedback from the Listening Process was a hunger for a deepening of faith/spirituality. The search for a meaningful spirituality which related to people’s experience was frequently mentioned as well as a desire to be led into quiet and stillness. There was a real sense from the responses that many people who are still connected to Church are ‘hanging in there’ but not finding much meaning or nourishment in it. There are a great variety of spiritualties in our diocese and many established groups who meet on a consistent basis. While we continue to support and affirm existing spirituality groups there is a challenge too to put the resources available into addressing the needs of those who are searching. There are possibilities here of reaching out to those who are not regular Church-goers but still searching and to those who are ‘hanging in there’ but not finding participation meaningful or nourishing. The creation of spaces where people can explore the experience of God in their lives. Developing pathways for people to explore their story in the light of the Scriptures. Developing opportunities for silence, stillness, meditation and contemplative prayer. Offering theology which gives depth and meaning to experience. Identifying and forming potential leaders who are able to guide such processes. Developing resource materials which offer processes to guide group experience. Over the past two years a group of people interested in spirituality has been meeting on a regular basis to engage in a process of formation in the area of spirituality. It is hoped that this group will work with the diocese to develop initiatives at local level. The Pastoral Plan also commits the Diocese to helping Christian communities to provide nourishing liturgy where people can celebrate the presence and action of God in Word and in Sacrament. 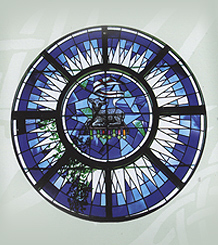 It aims to support and resource those already working in liturgical ministry, building their capacity to create liturgies at local community level which are linked to people’s lives. Promoting the development of a vibrant Liturgical Music Ministry across the Diocese, providing opportunities for ongoing formation. Building the capacity of each local community in celebrating liturgies in the absence of a priest. Supporting the on-going formation of the different liturgical ministries. Initiatives are already under way in these areas. A Diocesan Liturgical Music Ministry Group has been formed and a modular formation programme aimed especially at training leaders of choirs and folk groups is presently under way. Initiatives have also been taken in the area of lay led liturgy with the publication of a draft guidelines and a resource card. A pilot training programme has been developed and is being rolled out in a number of parish clusters.